What it is: On Sunday, a gunman killed two of his fellow gamers at a Madden esports tournament in Jacksonville, FL before shooting himself. Why it can stop: The shooter actively targeted fellow gamers as revenge for being eliminated from the tournament. Most mass shooters “see themselves as victims…they seek payback for what they perceive to be unfair treatment.” Unfortunately, violence feels vindicating because it provides the illusion of power and control. Sadly it’s the way hurting people communicate what they cannot express otherwise. But as Christians, we are commanded to be peacemakers, so how do you raise nonviolent children in a country where mass shootings are the new normal? Simply, foster empathy, deconstruct dualism (us vs. them), and teach them the dignity of every human life. The key to raising nonviolent children is to equip them to manage their emotions without violence, as well as preparing them to resist evil creatively and steadfastly without resorting to violence. What it is: Republicans and Democrats are gathering to honor the life and legacy of Senator John McCain, who died this week at the age of 81. What it is: “It’s none of your business!” “Stay out of my room!” “Stop snooping!” Sound familiar? Why it’s normal: From a locked diary a generation ago to private social media activity on today’s smartphones, parents and teens continue to face the same tension between privacy and protection, between freedom and accountability. We’re all asking the same questions: Is it ever ok to invade my teen’s privacy? How do I keep tabs on their online activity while still giving them an appropriate amount of freedom? Thankfully, our new Parent’s Guide to Teen Privacy tackles all those tough topics from a deeply theological and practical angle. 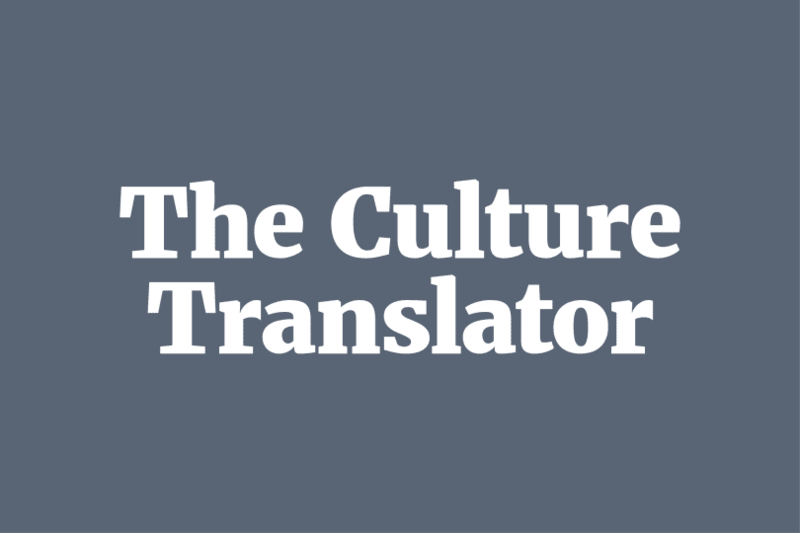 It’s written by The Culture Translator team, so get your copy today! Fortnite’s global phenomenon has parents all over the world wondering if their children are addicted to gaming. The answer? Probably not. Gaming appeals to three psychological needs that make it difficult for children to put their console down: competence, autonomy, and relatedness. School “is in many ways the antithesis of a place where kids feel competence, autonomy, and relatedness. There, kids are told what to do, where to be, what to think, what to wear, and what to eat.” After school, we herd them around like cattle from one activity to the next, believing a busy child is a healthy child, leaving little room for our children to dream, explore, and pursue their own interests in the real world. The good news? “While a well-designed game attempts to satisfy these needs, it can’t come close to the deep satisfaction real life and real human connection can provide.” So, ask yourself these questions: How can I encourage my children to develop competency in the real world (music, sports, writing, graphic design…)? What might need to change in our daily schedule to provide opportunities for my child to foster appropriate independence or self-determination? How can I organically provide authentic moments of true intimacy between myself and my child that meet her need for relationship (walks, dad/daughter dates, reading a book together…)? Video games aren’t the problem, but they will automatically fill the void we create if we’re not proactive, present, and personally involved in the psychological development of our children.